These superb quality Cummerbunds are made in England to a very high standard from 100% Barathea Silk. They have a discreet adjusting mechanism at the back with a black metal clasp for fastening. This allows for a snug fit and enables adjustment to waist sizes from 28" - 44". This set includes a matching pre-tied bow tie. The size of the bow tie is approximately 2.5" x 4.5". 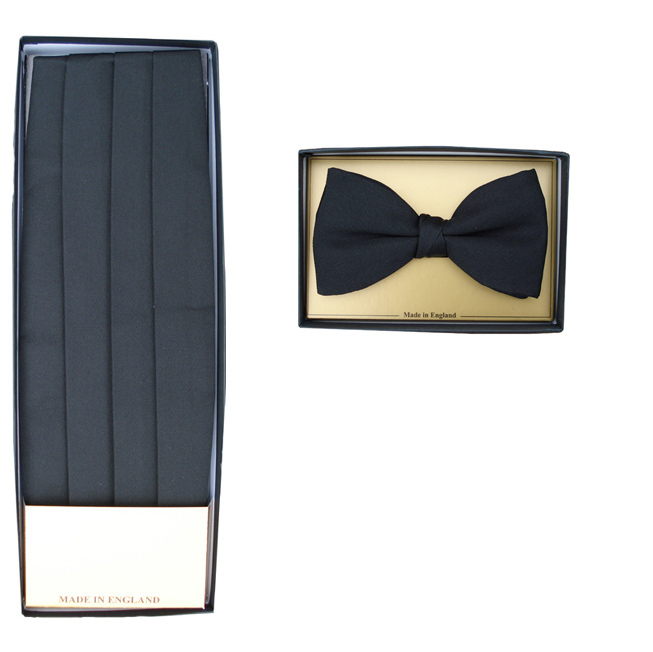 Both cummerbund and tie come in a smart is presentation box, so is ideal as a gift or just to treat yourself!